Winter arrived this weekend with the first sprinkling of the white stuff just outside the city boundaries and with a significant drop in temperatures. 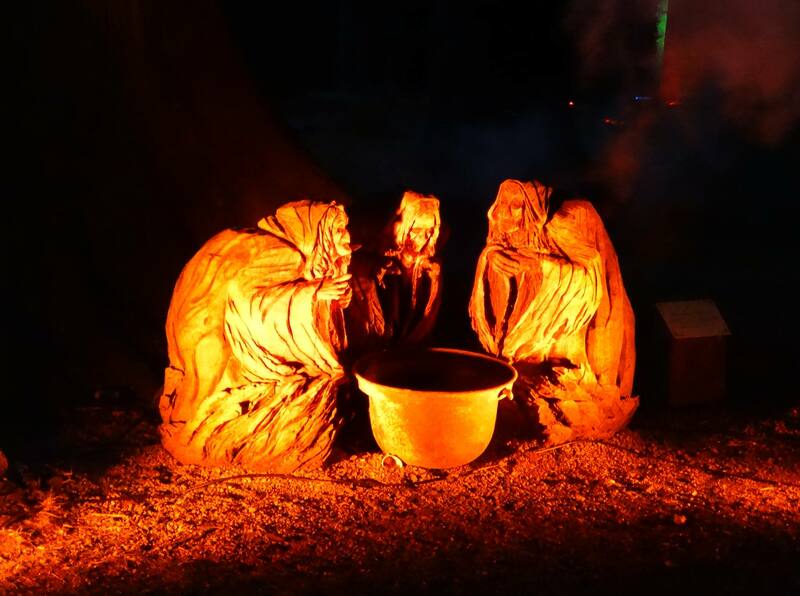 The weather had changed so much, in fact, that my friends and I had to think of alternative options to our planned trip Glamis yesterday to partake in this year’s Halloween event. In the end, we just settled on taking extra layers of clothing and getting on the road a little earlier than last year in case the roads were affected. It turned out that the roads were clear, but it was absolutely freezing, which made our walk around the Bewitched Woods at the castle a rather swift wander. 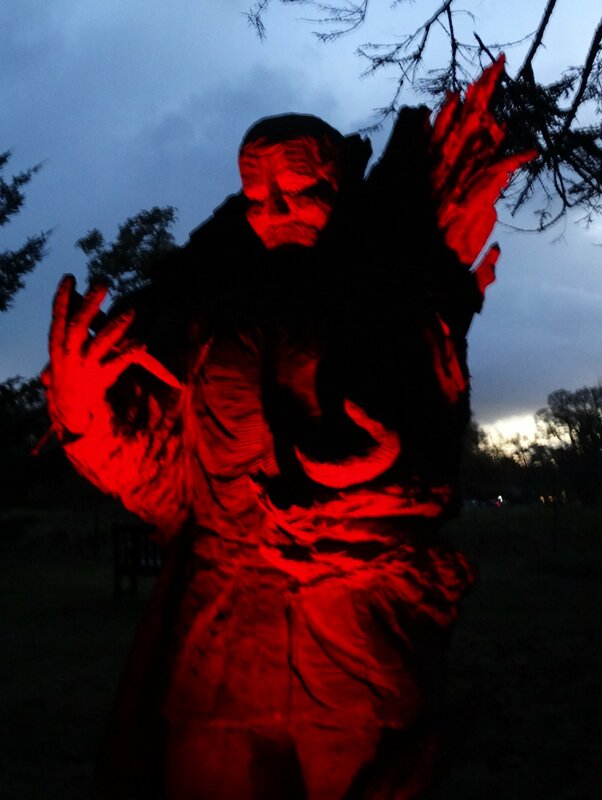 The Bewitched Woods were the same as last year, just with different lighting and new spooky sounds and special effects that set off by motion sensor as you found your way through the wood in the pitch dark soon after we started the trail. And I do mean, pitch dark! It was a lot of fun. I still love the wood carvings illustrating the story of Macbeth (Shakespeare’s version, that is) that are placed along the trail. All of the sculptures were created using a chainsaw and I am simply amazed by the level of detail that the artists (Neith Art) commissioned to create them put into each sculpture. They really seemed to have read and analysed each scene and character that they chose to create. The main event was, as it was last year, a ghost tour of the castle. Again, the inside of the castle had been decorated appropriately with skeletons, cob webs, and very real ghouls and ghosties who would pop out from behind doorways or nooks as we followed our guide through the castle. The usual tour packed with history was adapted again to tell of the more ghostly and ghastly history of the former inhabitants, and it was a lot of fun to see some of the characters “come alive” to converse with the visitors. One of the funniest things about this all was that there were some kids on the tour – some of which were really quite scared, and some of which put on a lot of bravado and ended up heckling the ghosts. One rather felt sorry for the ghosts. 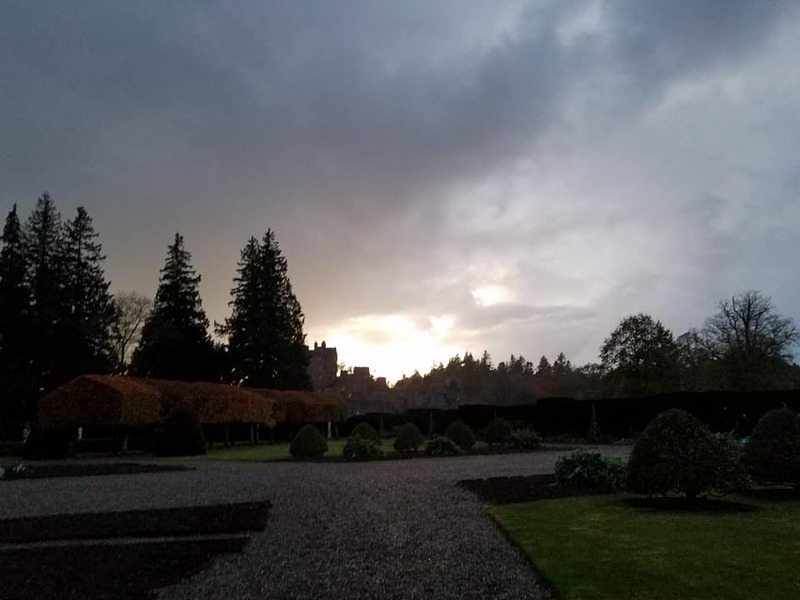 Even tho this was the same event as last year, I am glad to say that the people at Glamis castle again lived up to the challenge of creating an event that can be enjoyed on repeat visits. 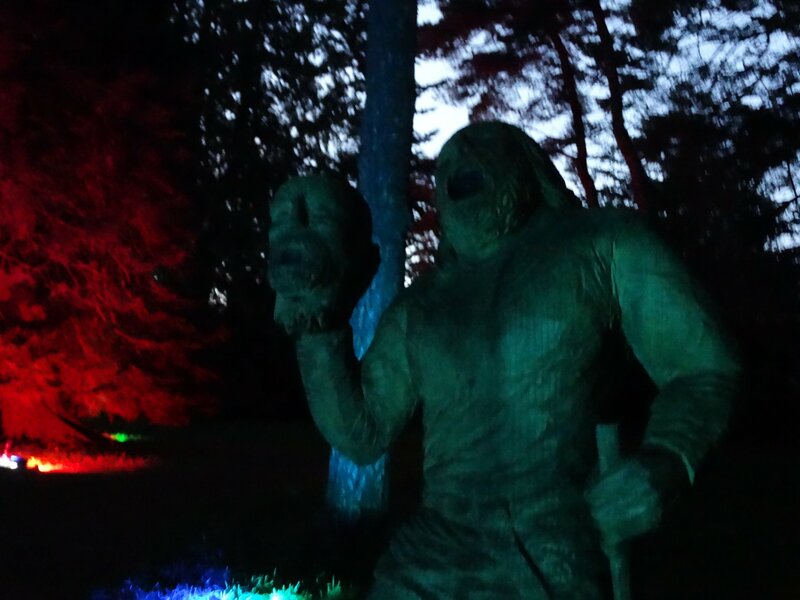 The ghosts and stories were rather different from last year – there was a lot more shrieking (mostly by the “ghosts”) and there were a lot more and different “ghosts”, too. All in all, we had another excellent experience that put everyone in the right mood for Halloween. Of course, we ended our visit with a stop in the old castle kitchens again to sample the pumpkin soup before we made our trip back home. Unfortunately, I didn’t take a picture of the soup. 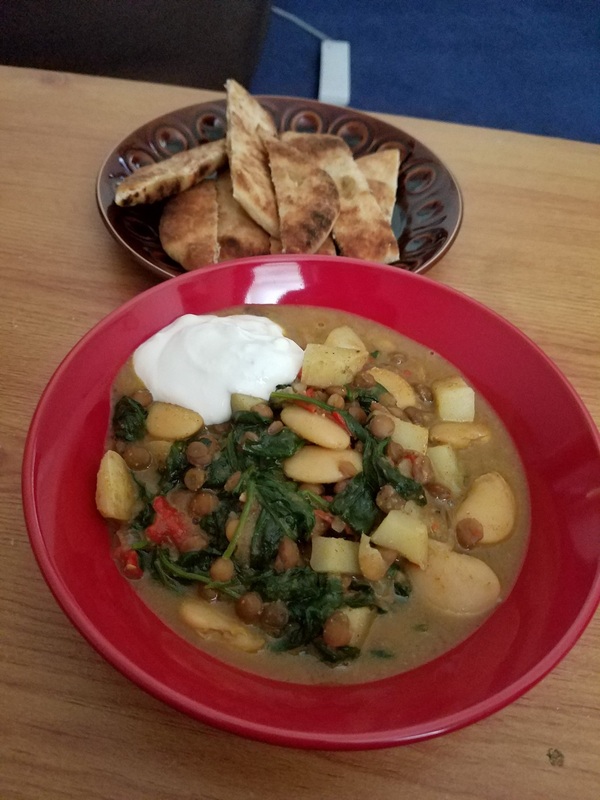 I did make up for it today, tho, when I made some butter bean, lentil and spinach curry … which I am counting as a soup as its consistency was rather stew-like. It sounds like I need to figure out a way to make it across the pond and North to enjoy this event!